A report forecasts that mega teams, chief among them RIAs, will continue to boost their share of advisory assets. Advisor teams that have more than $500 million in assets under management control 42 percent of advisory market share but account for about only one in seven advisors, according to new research. Cerulli Associates unveils this finding in the Q2 2014 report of “The Cerulli Edge: Advisory Edition. 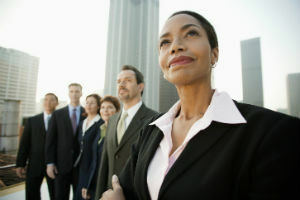 The survey explores successful attributes of “mega teams,” discusses how advisors and service providers must change to serve their high net worth market and offers insights into, among other things, current practices respecting time management and compensation, organizational structure and portfolio construction. The survey shows that all mega teams controlling $500 million-plus in assets under management — including registered investment advisors, dually registered advisors, independent broker-dealers, regional advisors, wirehouse reps and bank advisors — control in the aggregate $5.4 trillion in AUM. On a per practice basis, these mega teams account on average for $1.2 billion. “Mega teams are well situated to attract high net worth clients, says Kenton Shirk, associate director at Cerulli. “One of many reasons is their size, which allows advisors to offer a greater breadth and depth of expertise to serve the complex needs of affluent clients. The report forecasts that mega teams will continue to boost their share of advisory assets. RIA mega teams currently account for 67 percent of AUM in the RIA channel — the largest share by channel of all mega teams.